Ms. Naqvi is a former Vice President of Soros Economic Development Fund of Open Society Foundations where she had prime shareholder responsibility for SEDF’s investment portfolio in India as well as fund investments in Mexico and a Micro-Insurance fund which invests in Africa and Asia. 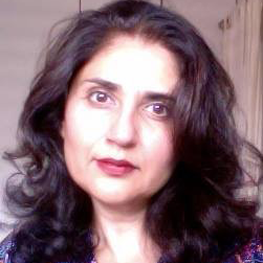 In addition Ms. Naqvi co-founded Open Society Foundations Economic Policy think tank in Pakistan called Institute for Development and Economic Alternatives (IDEAS), based in Lahore, and serves as a member of its Board. Prior to leaving OSF in December 2016, Ms. Naqvi worked with a team to build Open Society Foundation’s new Economic Advancement Program. Prior to joining OSF, Ms. Naqvi worked for Women’s World Banking for five years as a microfinance expert with responsibility for Pakistan in addition to other Asian countries. Prior to joining WWB, she spent ten years with Citibank in New York, where she worked for the Financial Institutions Group for Emerging Markets, including Pakistan. Ms. Naqvi has a bachelor’s degree in international relations from Mount Holyoke College in Massachusetts and a master’s degree from The School of International and Public Affairs at Columbia University.